In Tuesday action, Joel Armia was knocked out of the game in the first period as Assat lost in a shootout to SaiPa 3-2. 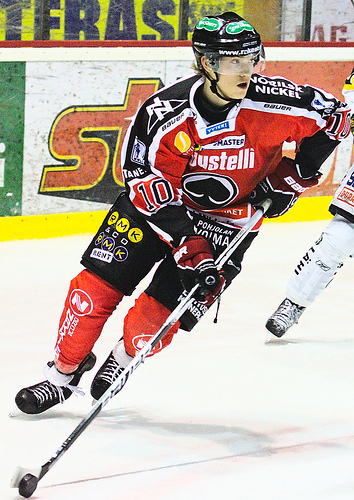 Armia left the game in the seventh minute after a collision with Jere Pulli. Following the game, Assat team sources revealed that Armia had suffered a "mild concussion" with the full extent to be determined following full examination. In the WHL, Colin Jacobs earned a second-period fighting major and later a game misconduct with two seconds left in the game as Prince George lost to Calgary 5-0. After securing points in the Cougars' first eight games, Jacobs has been kept of the scoresheet in his last two outings. In Rochester, Zemgus Girgensons recorded his first professional point with an assist on the Amerks' lone goal in a 3-1 loss to Binghamton. Girgensons took a hit along the left boards to advance the puck to Kevin Porter for a pretty goal a little over five minutes into the third. David Leggio made 33 saves in his third straight start, including two stand-out stops on former Ottawa first-rounder Mika Zibanejad. The Amerks return to action Friday versus Grand Rapids.